Midwestern states better buckle up because a new bad guy’s in town. I’m not talking about any gun-toting cowboys, though. I’m talking about corn. A study published Monday in Nature Sustainability shows how deadly this crop can be. And eating it isn’t the killer; growing it is. Turns out that the air pollution from growing corn is behind an estimated 4,300 premature deaths a year. The University of Minnesota team calculated all this by running pollution inventory models in each of the top 2,000 corn-growing counties with each county’s agricultural data between 2010 and 2014. 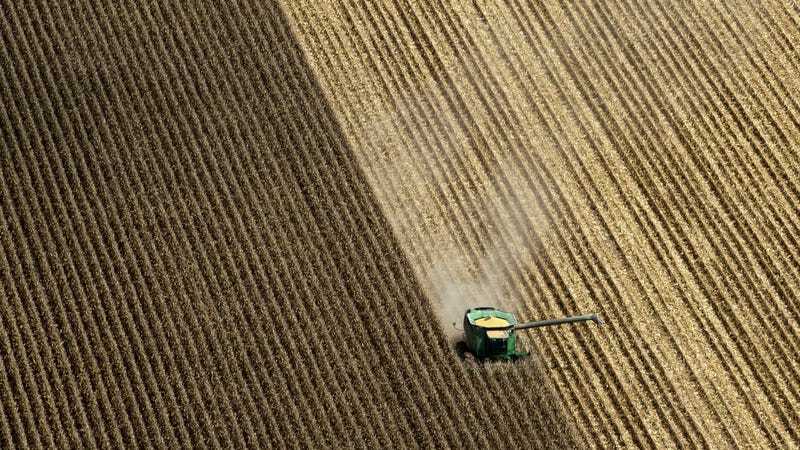 The authors also looked at county-level data on the amount of fertilizer used per metric ton of corn and coupled it all with air quality models to determine an estimated number of deaths. The study included not only the emissions directly from the farms themselves, but also their upstream emissions from the fuel and machines they need, their electricity source, and production of agrichemicals. Different parts of the U.S. are definitely feeling these impacts differently, as the study points out. States like Iowa, Illinois, Nebraska, Minnesota, and Indiana make up a little over half the study’s mortalities. Illinois really has it bad with nearly 800 premature deaths a year thanks to its beloved corn. Cities like Chicago and Minneapolis feel the effects too because of how close the corn production is in the central corn belt. The study is clear that it doesn’t paint a full picture, either. The researchers didn’t account for the pollution that results from where the corn goes after it grows. Like producing ethanol biofuel or animal feed. And this is a tiny piece of our nation’s—and world’s—air pollution problem. The World Health Organization estimates some 7 million people die prematurely around the world every year because bad air. In the U.S., blacks and Hispanics deal with air pollution the most—air pollution that white people disproportionately create, according to a separate study out earlier this year. Anyway, more than 90 million acres go toward growing corn. Maybe it’s time to rethink how we grow it if we want to keep it around while protecting the people who live near its farms.